Mycorrhizal Meditation is a guided meditation that choreographs a connective journey through the human body and down into a dynamic, semiotic underworld of living soil and mycorrhizal mycelium. 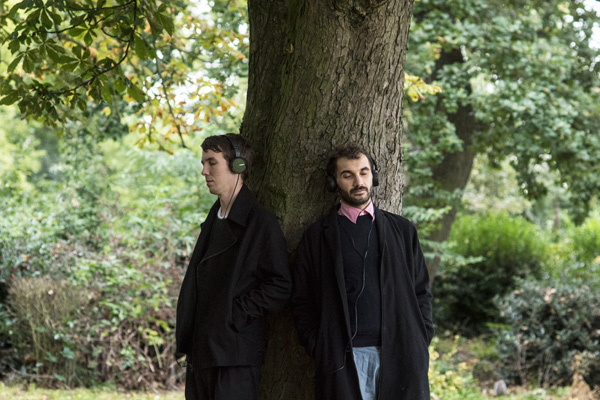 The spoken word entwines with sound recordings made in wooded places, including sonifications of the shifts in electrical current emitted by plants and fungi. It complicates a notion of nature as ‘ultimate digital detox’, and guides the user towards the intelligent responsiveness of beyond-human nature, the ‘wood-wide-web’ that predates our digital connectivity by millennia. 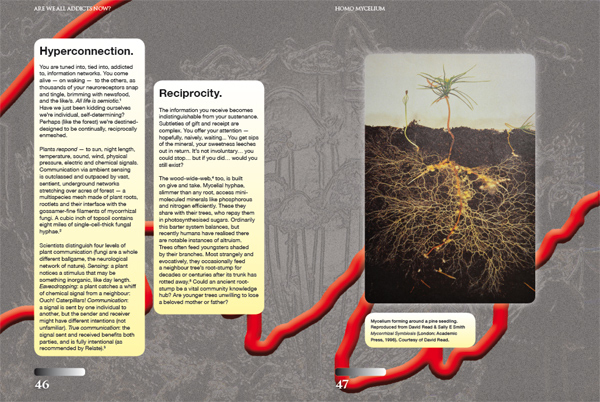 Mycorrhizal Meditation emerges from a long-term art and research project, Homo Mycelium, exploring fungal networks, human-fungal interrelation, and mycorrhizal networks as a model for more-than-human communities. Mycorrhizal Meditation was comissioned as a public sound art work by Furtherfield Gallery to accompany the exhibition and research project Are We All Addicts Now? which centred on the work on internet addiction and digital hyperconnectivity by artist Katriona Beales. AWAAN was co-curated by Fiona MacDonald, Vanessa Bartlett and Furtherfield. 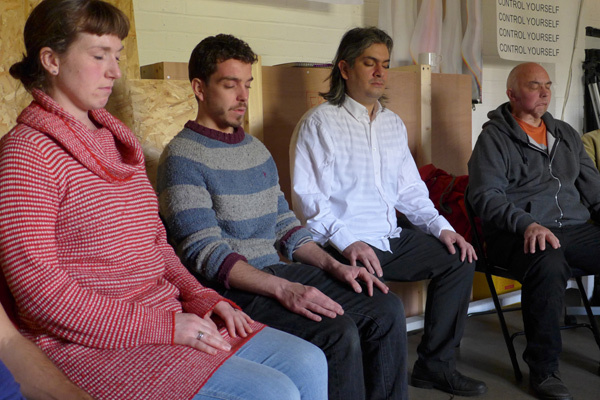 Mycorrhizal Meditation was delivered as a free download, accessed via posters in Furtherfield gallery and across Finsbury Park. 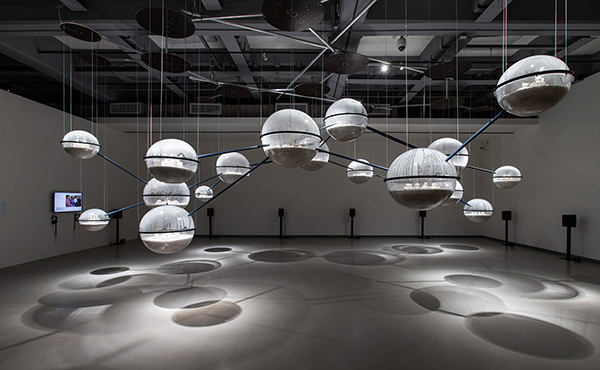 Mycorrhizal Meditation features in this installation incorporating live mycelium, sound and video, by Mycelium Network Society, currenlty on dispay as part of the Taipei Biennale 2018. Link here to Vimeo for a 4-minute edit of Mycorrhizal Meditation. Mycorrhizal Meditation is also performed live, including at the 7th Annual Conference for the New Materialisms, UNESCO, Paris, and in image pictured, as part of an event by Feral Practice celebrating and exploring the history, art and science of human-fungal relations; including themes of reciprocity, intuitive and nonverbal interconnection between people, psychedelic consciousness, fungal songs, shamanic journeying, and plant communication. The essay Homo Mycelium is published in the AWAAN? book, edited by Vanessa Bartlett and Henrietta Bowden Jones, designed by Stefan Schåfer and published by Liverpool University Press.